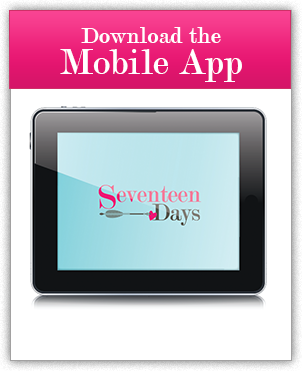 SEVENTEEN DAYS - in both the video and mobile app form — are results from a five year grant from the Office of Adolescent Health, U.S. Department of Health and Human Services to update the interactive video, "What Could You Do?" which was shown to increase abstinence among teenage girls. Preliminary research indicates that giving young women access to the Seventeen Days film leads to better knowledge about the risks associated with different sexual behaviors and a stronger sense that they can carry out safer behaviors themselves. This project and film were made possible by Grant Number TP1AH00040 from the Office of Adolescent Health, U.S. Department of Health and Human Services.